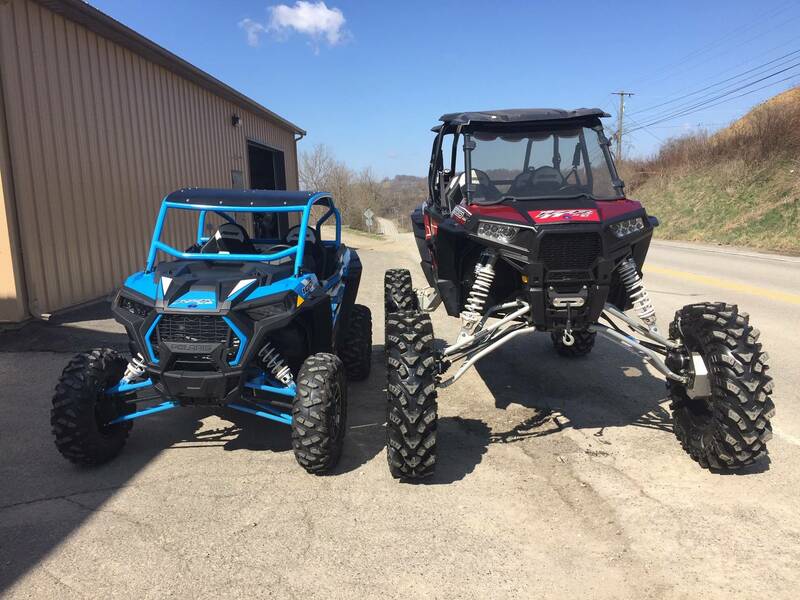 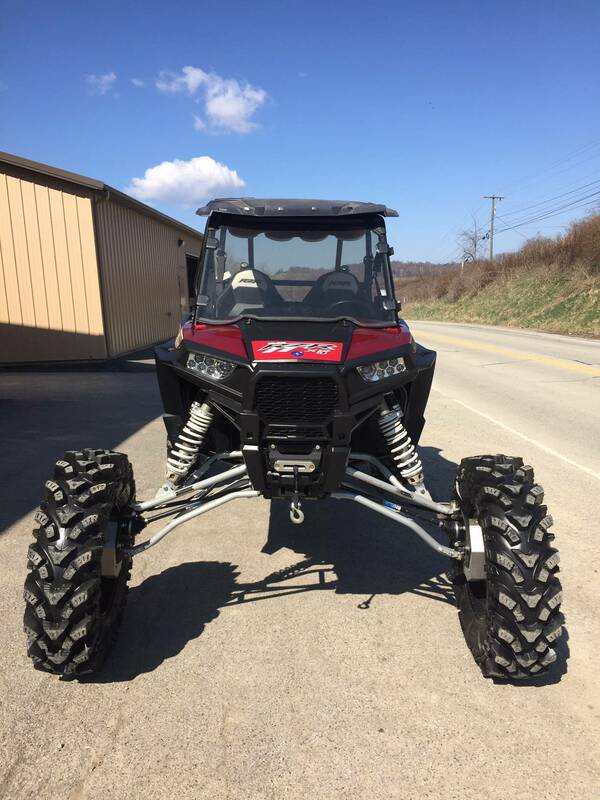 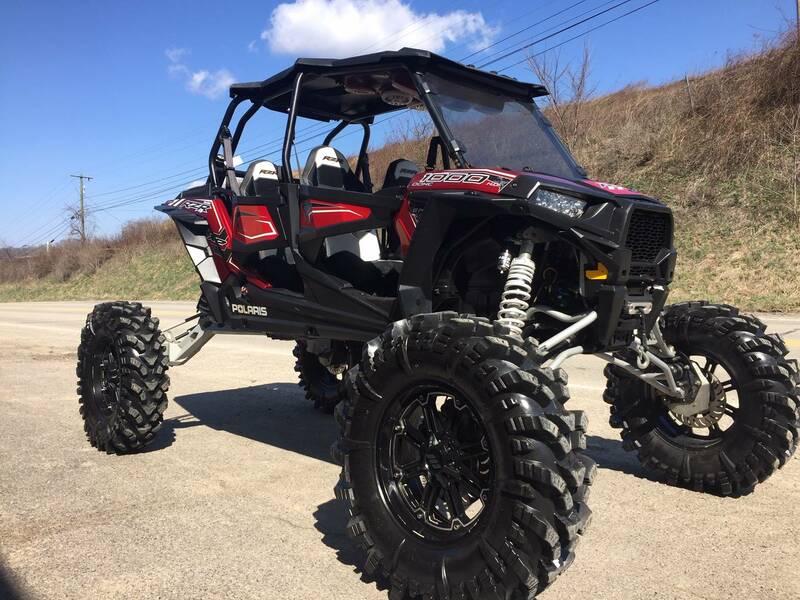 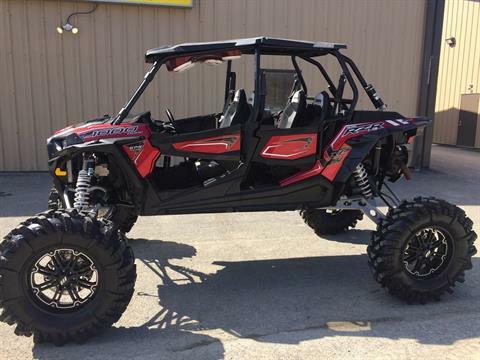 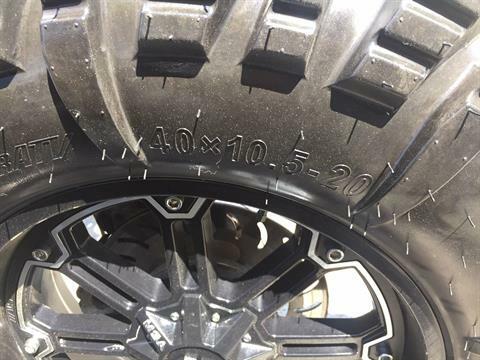 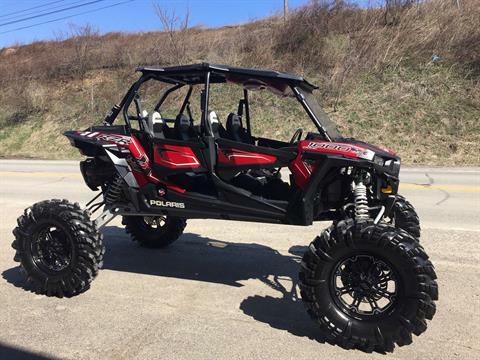 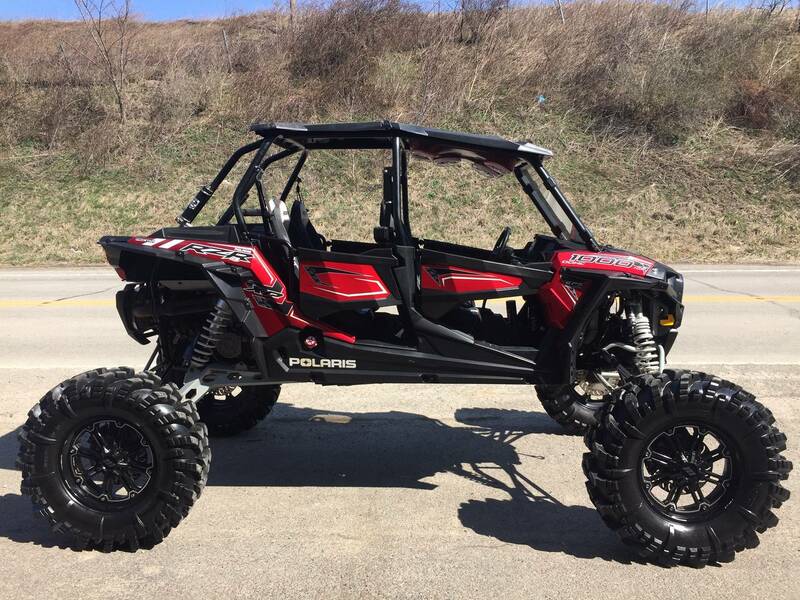 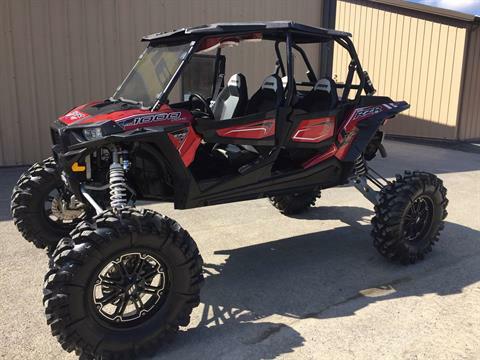 RZR XP® 4 1000 EPS OVER 10 INCHES OF LIFT. INDUSTRY LEADING GROUND CLEARANCE AND TIGHT TURNING RADIUS: The RZR XP 4 1000 features an industry leading 13.5-inches of ground clearance giving you plenty of room to transition over obstacles in harsh terrain, and turning radius is critical when it comes to agility so we feature a quick 2 turn lock to lock steering ratio to maintain a tight turning radius. CENTERED COCKPIT: Every RZR is specifically engineered to provide the driver and passenger with the most exhilarating, comfortable ride on the market. 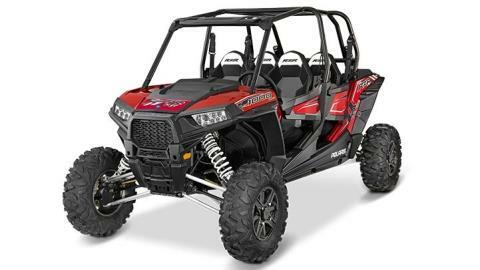 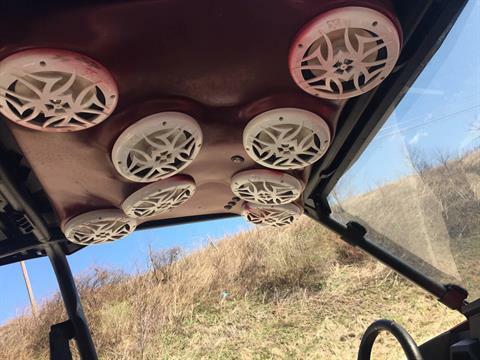 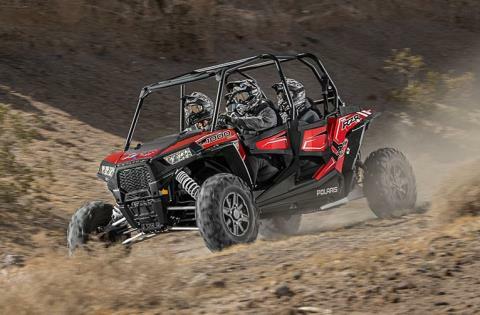 From the patented design that places the engine behind the seat to the placement of the occupants towards the middle of the vehicle, RZR’s design provides a low center of gravity. 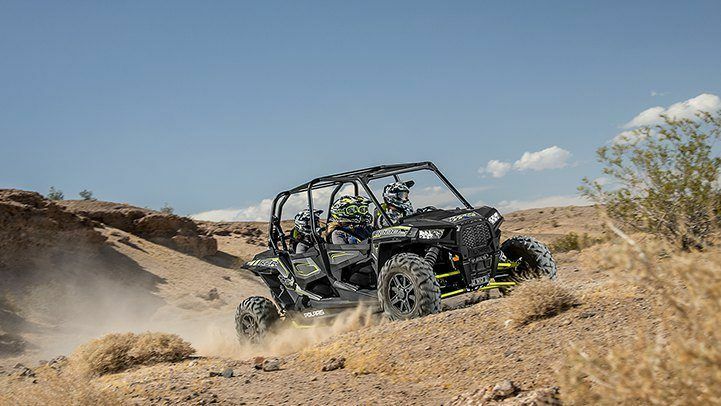 PASSENGER FRIENDLY REAR CABIN AND SEATING: The rear Passenger Cabin boasts numerous features to keep your passengers comfortable on every ride. 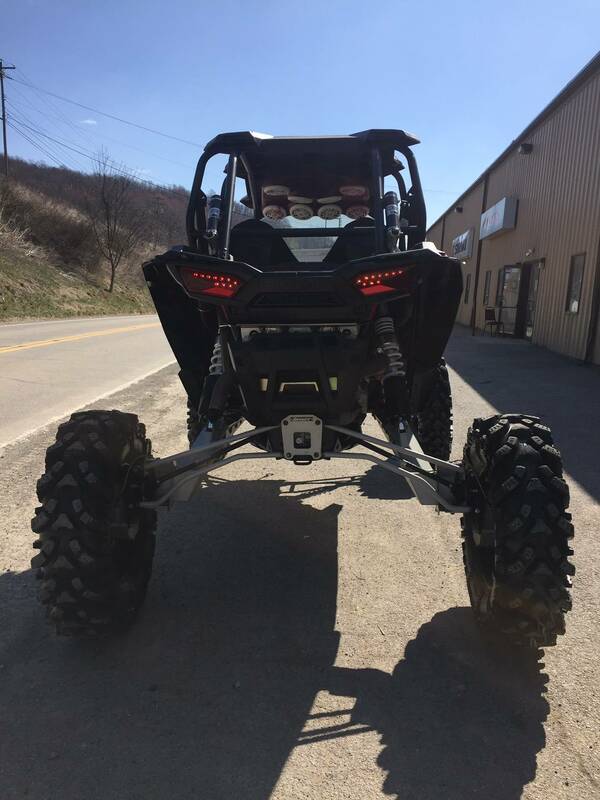 Getting in is easy with factory installed quarter doors while deep foot wells with angled footrests and sculpted front seats. CUSTOMIZE YOUR RIDE: Customization is easy with over 110 accessories to choose from, designed specifically for the RZR XP® 4 1000. 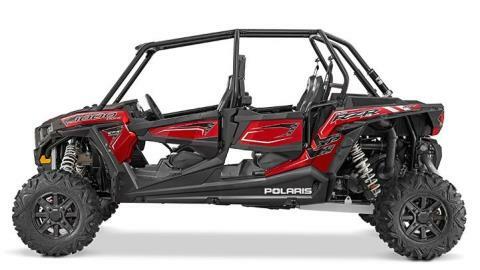 Polaris engineers are focused on delivering innovative, quality products that fit right, install easily and stand out against the competition. 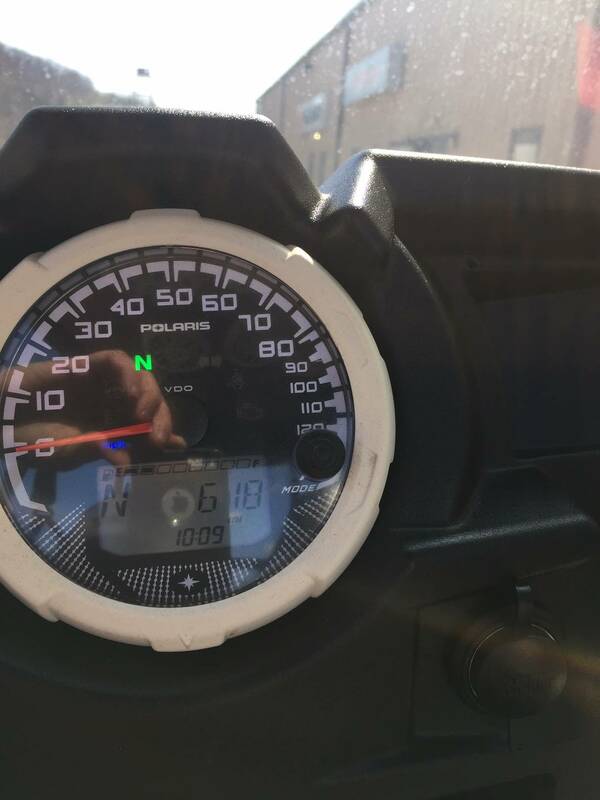 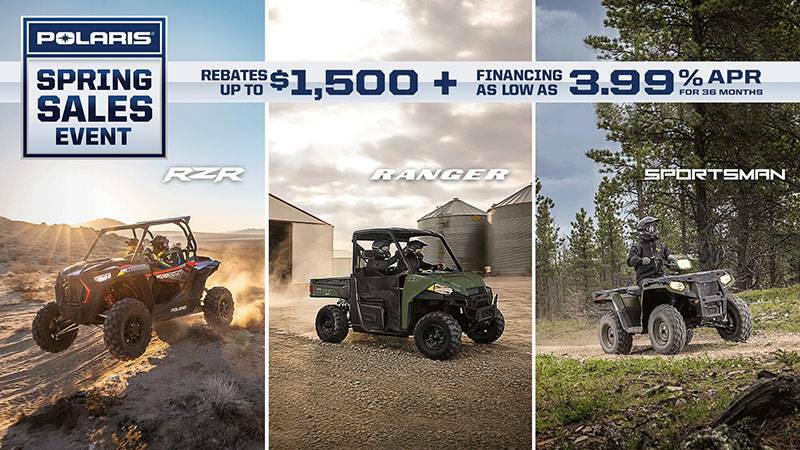 ONE-YEAR POLARIS ENGINEERED ACCESSORIES™ FACTORY WARRANTY: Polaris Engineered Accessories™ come with a one-year factory warranty and do not jeopardize your vehicle warranty, making them the preferred choice for customizing your RZR®. 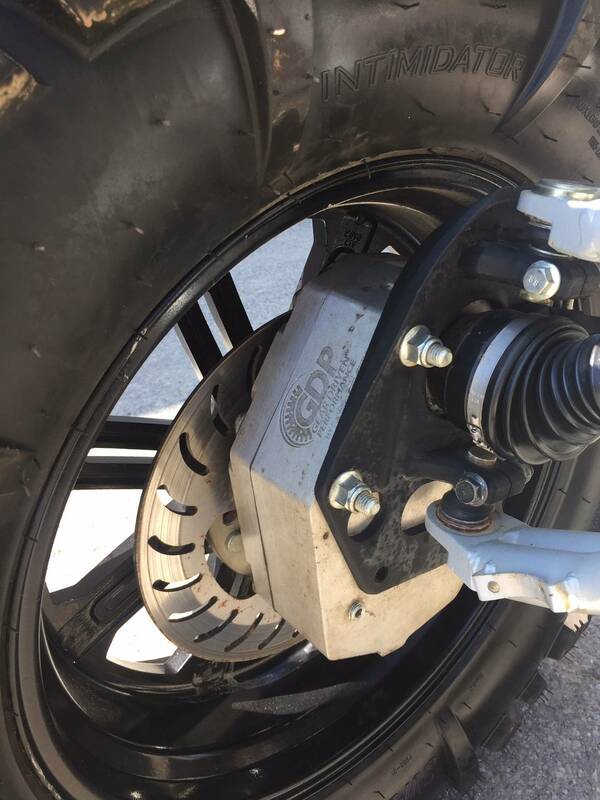 LONG TRAVEL DUAL A-ARM INDEPENDENT FRONT SUSPENSION: Industry-exclusive Walker Evans needle shocks deliver next level performance and tuning capabilities. 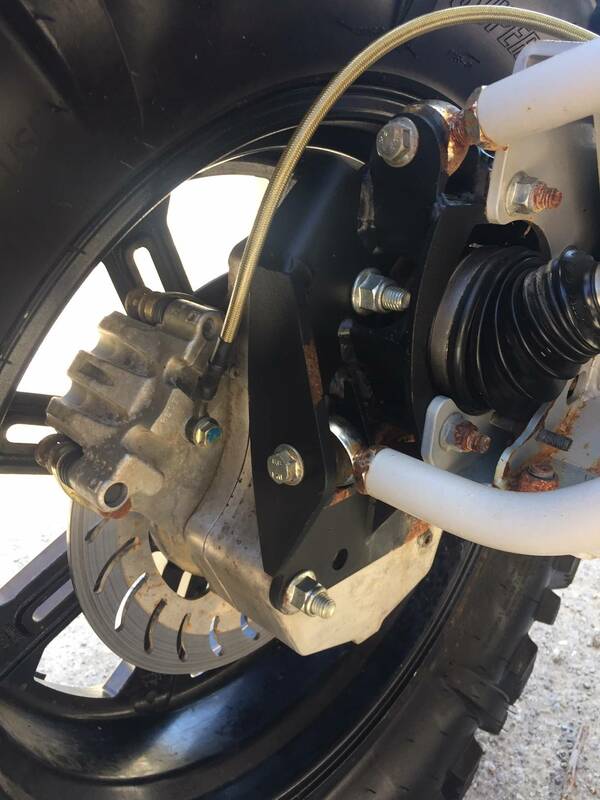 Aside from the ingenious anti-bottom needle technology, the 2.5-inch diameter rear shocks have been completely re-tuned for 2015 for a better ride and increased durability and feature tool-less 16-position compression dampening control, allowing you to tune for the perfect ride for any condition.